Rapper Octopizzo continues with his campaign to try bring Marijuana to your nearest shop. The rapper of late has been urging the government to legalize the drug saying kids are already using it. “This is not about me, but it is a serious thing and it has even been tabled in parliament,” Octopizzo said. “Marijuana users will freely smoke it anywhere because whether it’s legalised or not, our kids are using it but they are abusing it. People are using it badly and that is why it is affecting them while others have made businesses out of it.” Being used The singer went on to share that he uses medicated Marijuana and since people are using it at large, the government should really consider bringing it to the shop. “What I am saying is if it is already being used, why don’t we just legalize it but then create ways that it can be managed how people use it.We know that marijuana is sold in chemists in some counties but it’s access us managed. That is why some people will never shy away from using it,” he said. 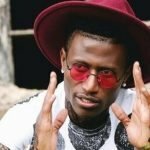 The post Octopizzo: Legalizing weed is not about me, it is a serious thing appeared first on Ghafla! Kenya.